A study conducted by the University of Illinois has found that children who participate in group learning develop better decision-making skills that children who follow the same curriculum with teacher-led discussions. Over 760 5th-grade students participated in the study which aimed to compare how group work and direct instruction affects the students’ ability to make decisions and to apply those decisions to a task. The students involved spent six weeks learning a curriculum that would lead them to decide whether a community should hire professional hunters to kill a pack of wolves that was causing many residents concern. Various viewpoints such as the impact on the ecosystem, the local economy and public policy were examined. The purpose of the six-week curriculum was not to guide the students towards a best outcome but to raise students awareness about making responsible and reasoned decisions. At the end of the program, students wrote two essays. One explaining their decision about the wolf problem and another about a decision on unrelated material that had not been presented to them before. The second dilemma involved a boy named Jack who has an unpopular friend named Thomas that wins a competition but later confesses to Jack that he violated the rules by enlisting his older brother’s help. After reading the story, the students were asked to write an essay about whether Jack should reveal his friend’s dishonesty. 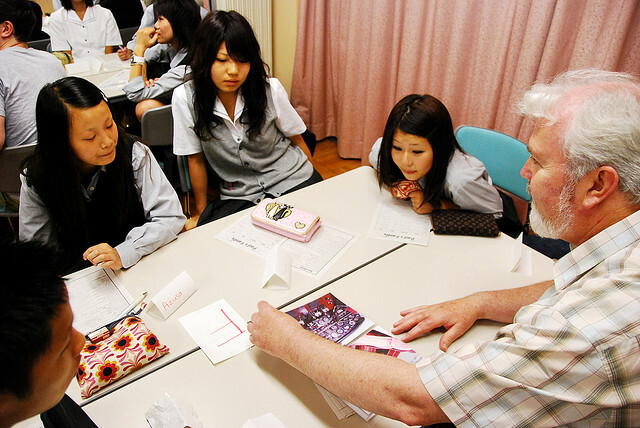 It is reported that the students who had participated in collaborative group work were better equipped to deal with the decision-making process in Jack’s story. Some key findings were that the children were able to recognize more than one side of the problem, they could consider multiple reasons to support opposing views and they could weigh-up the costs and benefits of each decision. In contrast, children who studied the wolf problem is teacher-led discussions proved that they were no better at making a decision on Jack’s dilemma that students in a control group who had not been exposed to the wolf problem. Indeed, the study provides strong evidence that in teaching social and moral issues, in which decisions, arguments and viewpoints have to be explored, that collaborative group work better prepares the students to tackle social and moral dilemmas. How could you incorporate more collaborative group work into your lessons? Tell us in the comments below!